Although I know our cars can go 200-300k miles, to me 100,000+ miles is high mileage. I fell that a 100,000 in todays world is to me not High Miles but Mid Mileage. 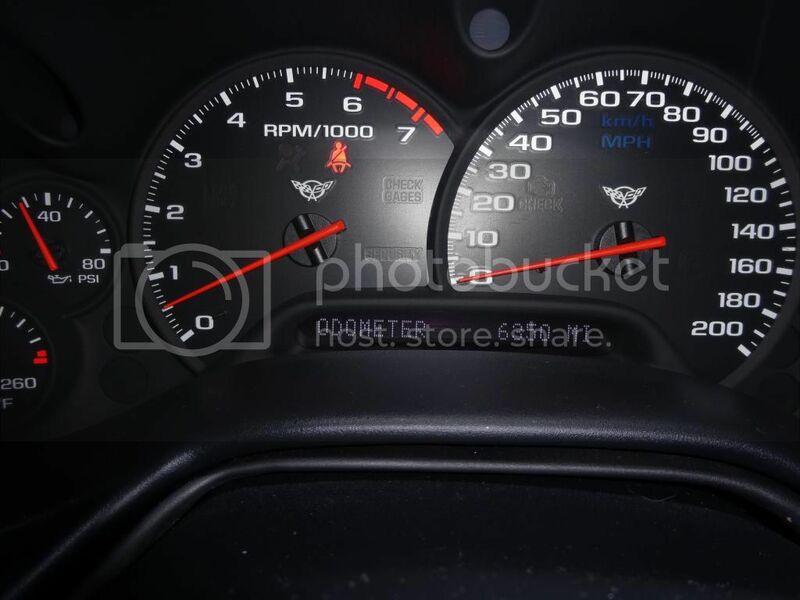 Over 150,000 is getting real close to a high Mileage Corvette for me. For me it would be 100K, but whether I would buy one with that mileage would depend greatly on how well it was maintained. and 50,000 by some drivers are completely trashed. Mine is 150,000 and I consider it high mileage by quite a bit, though it's completely awesome! Last edited by sfc rick; 09-08-2014 at 08:08 AM. I have two very different perspectives. From a practical perspective, the car is engineered to last 200k, so a car that has been well-treated isn't really high mileage until 150k. From a market value perspective, there are so many really low-mileage garage queens out there that anything over 50k could be considered high-mileage. I'm going to sound a bit wishy-washy with my post, but hear it out. I would get on the boat of saying 100K miles is high. Considering both the age group range and price of the car when new, many probably bought their cars and did not use them for daily duty. This likely held true fairly well into the entire generation production - and for the most part could probably hold true for any modern generation Corvette. Of course though there are exceptions, which is why some Corvettes see daily duty or have North of 200,000 miles. I however am a firm believer that cars should be driven. That is their ultimate purpose; to get you from Point A to Point B. It doesn't matter if it is a Corvette or a Corolla or a Ram truck. Denying a vehicle the right to drive just wastes it away, hence why personally I do not like garage queens and put many miles on my cars. My last "fun" car had North of 285,000 miles. HOWEVER, all of that being said, when I did pursue my C5 purchase I really wanted under 100,000 miles. To go further, I wanted under 50,000 miles. I personally am not in the boat of modifications. I feel for myself the C5 is enough of a car out-of-the-box that it would not warrant power or handing modifications that I would perform. Thus I was simply factoring in that higher mileage cars likely would have not only gone through multiple owners, but subsequent owners likely would have performed particular modifications that either dates when performed cannot be confirmed or simply the modifications were years and years ago. Not to even throw into the equation simple maintenance items that potentially could not be confirmed. If the car is high mileage, can items like water pump, proper tune up items, and similar be confirmed as being performed? Also, consider that the youngest C5 is now over 17 years young. That's getting up there; that's for any car. And even if something is low mileage can you confirm that items like coolant and brake fluid were properly service? Mileage on these type items really serve as no legitimate basis of condition. I guess take what I'm saying is buy what YOU feel is right. Consider mileage as a factor, but also consider all the other factors. 150k is the new 100k. For newer vehicles, 100k is nothing. It's hard to get out of the old paradigm of 100K being high mileage but I'm slowly getting there. I would say 150 is high mileage and if a car has been "PROPERLY" maintained I would go as far as 200K. But over 125-150 that would mean EVERY service has been performed that is recommended by the manufacturer and items replaced when they wear out. There aren't many cars out in the world like that, but they do exist. If not then 100K can be high mileage. My 1986 had 198,000 miles when she dumped her transmission (and engine shortly thereafter on the rebuilt); She's buried at Pick A Part in South San Diego, and I still miss her! I recall a C5 FS with 300K. But it had been maintained by an aircraft mechanic and it looked sharp. My high mark when I was looking to buy was 75k and that is only on the C5 Corvette because there were so many sub 100k cars out there. If I do ever sell mine, it will likely have 300k on the chassis and a newish motor. I think this, about that. I've driven it cross country twice, and on many long road trips. If my health holds, I plan to drive it on many more long trips. I love travelling in that car, weather it's up to Lake Tahoe couple of weeks ago, or just to the post office down the street. I don't care nor will I ever care what the odometer says. I change oil twice a year, reularly, no matter the miles travelled. Look around, you can find them. It just may take a bit, and it may not be in your neighborhood.